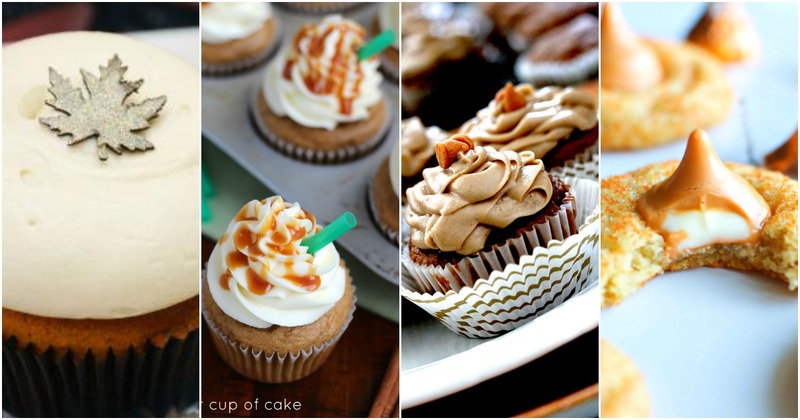 These cupcakes combine pumpkin cake mix with coffee and sour cream to give you the perfectly blended creamness you’ve come to expect from #PSL (Pumpkin Spice Lattes) in all their seasonal glory. Even more magic happens with the addition of Butterscotch Frosting – every bit as deadly delicious as it sounds – but easier to make than it sounds. Simply melt butter and brown sugar in a pan, bring to a boil, and stir in milk, vanilla and cinnamon. After the butterscotch cools for 20 minutes, beat in the powdered sugar and you have fluffy, sweet, butterscothy frosting. Ok… so these are cupcakes, but they are DELICIOUS! I know many of you stock cookies in your cases too, so I had to pass this along. As oppose to the traditional “Peanut Butter Blossoms,” these cookies are infused with the divine sweetness of white chocolate! Thanks to this brilliant little ingredient… Hershey’s White Chocolate Pudding! Celebrate Memorial Day with Cupcakes!